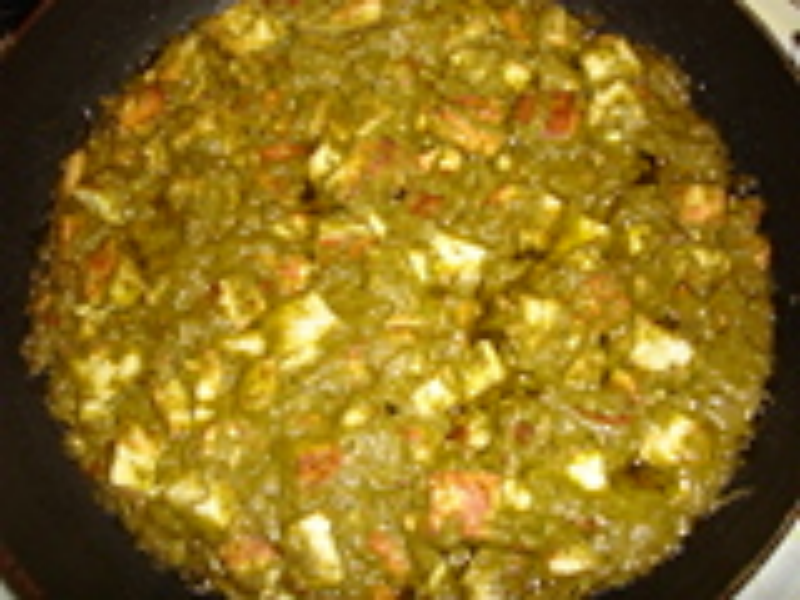 Cut the Paneer in small pieces and fry it in oil till golden Brown, remove from pan and keep aside. Grind Coriander, Green Chillies, Cashew, Yogurt, Salt to a fine paste, no need to add water, if required you can put some. Put some oil in the pan, add the Ginger Chopped and fry till the aroma comes, add the chopped tomatoes continue to fry till the tomatoes are done. Then add the ground paste of coriander, fry on medium head till the oil separates from the mixture. Add the fried Paneer to the mix and lower the heat and cover the pan, keep it on low heat for 4-5 mins. This dish was very enjoyable. I made the paneer myself and everything turned out wonderful. My boyfriend and one of his friends also thought this was very good...but you have to like corriander! Helpful tip: 1 bunch corriander = 1 cup fresh corriander. This is great with naan bread.